Our commercial clients depend on Garage Door Solution Service to provide them with the services they need to keep multiple garage doors functional. Typically, a business garage door is much larger and weighs a lot more than one at a private residence. It may have multiple stalls opening and closing hundreds of times a day. The increased activity means that it’s more likely for mechanical parts to wear out and cause a system failure. Regular inspections from our company is one way to prevent this. Business owners sometimes overlook the importance of having a garage door that is clean, modern, and helps to tell the company’s story. When you’re tired of looking at an outdated door, speak to Garage Door Solution Service about your many available options. 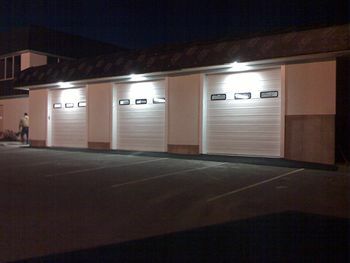 Not only will the newly installed door put your company in a better light with customers, it will be safer as well. As a commercial property owner, that is something that always needs to be at the forefront of your mind. 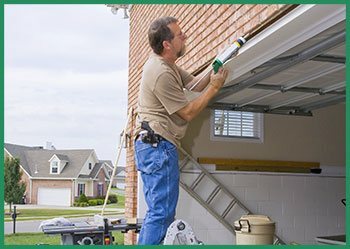 Some garage door servicing companies allover Seattle, WA are content to have either superior products or superior service, but think it’s too much to expect to have both. We don’t think so at Garage Door Solution Service. We’re pleased to say that both our products and services are of the highest possible caliber. Anything you buy from us has met rigorous safety standards and is guaranteed to stand the test of time. If you experience any unexpected problems, please let us know so we can correct the situation. With the potential for serious injury being great in the garage door industry, safe operation is naturally our greatest concern. That being said, there is no reason why your garage door can’t also be visually attractive. When you buy a lower quality door, you may have problems with mold, mildew, corrosion, or peeling paint after only a few years. That is simply unacceptable at Garage Door Solution Service. Our garage doors look as good a decade after we put them in as they did on the day of installation.